Rieber’s patent-protected air clean system means that caterers can use Varithek ACS equipment without the need for overhead ventilation. This means you could be ‘theatre’ cooking for events, or in front of your customers in public spaces, small dining rooms or out in front of the main servery. The patented air-cleaning-system® ACS® extracts unpleasant cooking vapours, grease, unhealthy moisture and odours. The air is drawn off and cleaned of grease and odours as it passes through the filter components. 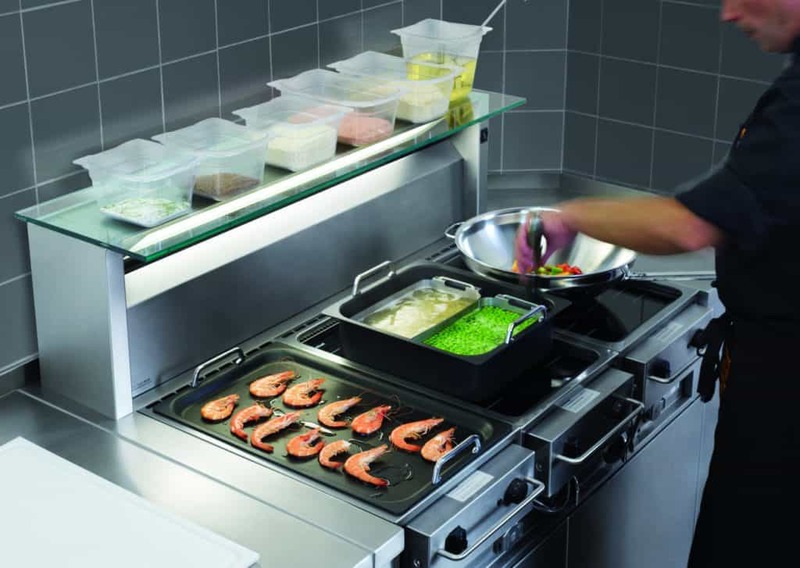 ACS Varithekbuffet Cooking, serving and holding elements can be combined to make a unique back of house cooking station with its own self-ventilation. By using the ACS range you can eliminate much of the M&E costs usually associated with installing a conventional cooking range with canopy, or providing a solution where a traditional extraction canopy is not feasible. Ask us which model Varithek is the popular choice and which model would suit you? 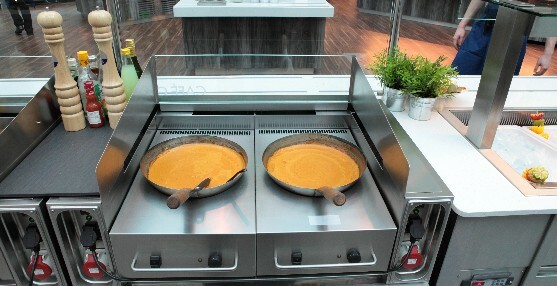 Also ask us about the new Varithek pasta and deep frying cooking modules.